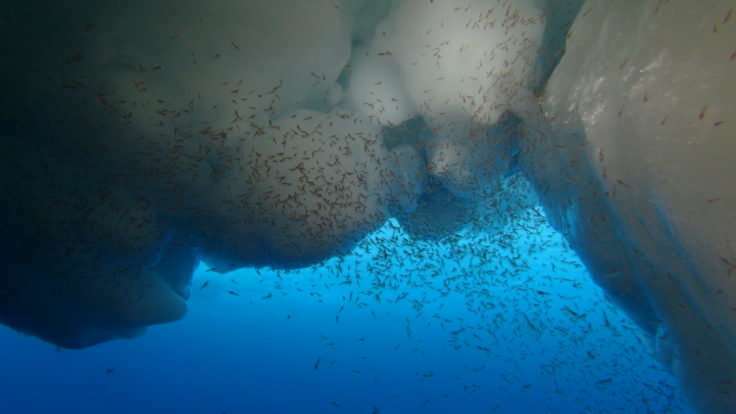 An international study involving British Antarctic Survey (BAS) scientists has shed light on how the larvae of Antarctic krill – small shrimp-like crustaceans – use sea ice to ensure their successful development and survival through winter in Antarctica. The paper is published this week in the journal Nature Ecology and Evolution. A research cruise to the pack ice of the Weddell Sea on board the German RV Polarstern in the dark Antarctic winter has provided direct observations of Antarctic krill larvae under the sea ice. Divers collected video footage under the sea ice and also collected larvae for studies carried out on the ship. Together with data on the physics and biochemistry of the ocean and sea ice, the research has provided an understanding of the survival strategies of overwintering larvae. The results show the pack ice is more important as a refuge against predation than a critical feeding ground during the winter. The movement of the larvae from the under-ice surface to the ocean beneath the sea ice and back again determines their distribution the following spring. "Antarctic krill larvae are not strong swimmers and as a result are moved around by the ocean currents and the drift of the sea ice. By understanding what happens in the winter, we can better simulate and predict their movement during this critical period in their life cycle. Our model shows that larvae found under the sea ice in the Weddell Sea are likely to reach the southern Scotia Sea by spring, where they will find good feeding conditions. Knowledge of how larval krill successfully overwinter is key to understanding the distribution of krill." "Antarctic krill are an important food source for penguins, other seabirds, seals and whales that gather in vast numbers in the Southern Ocean during the short Antarctic summer. Their importance as food to so many predators makes them a key species in Southern Ocean food webs. Improving understanding of how krill interact with the sea ice is crucial for projecting potential impacts of future change on their populations, the food webs in which they occur and the whole Southern Ocean ecosystem." He continues: "Antarctic krill are also the target of commercial fishing operations. Improving understanding of the potential impacts of change on their distribution and abundance is essential for developing procedures for sustainable management of fisheries and conservation measures for Southern Ocean species and ecosystems." 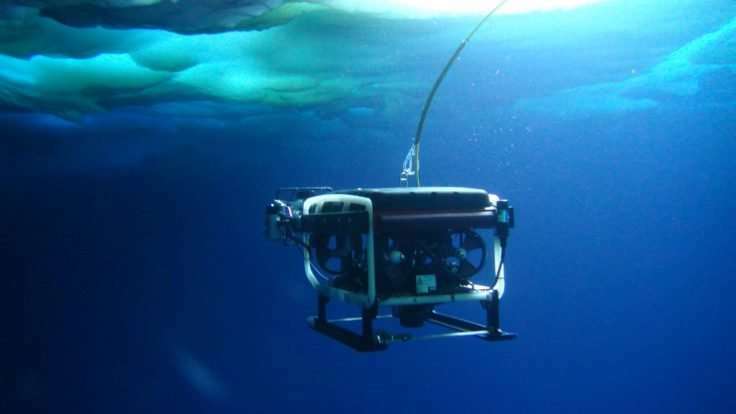 The research, which took place in 2013 onboard the icebreaker RV Polarstern, as part of a German-led multi-disciplinary project by the Alfred-Wegener-Institut, brought together scientists and support people from eight countries to learn more about sea ice and the marine species associated with it. Why do Antarctic krill stocks fluctuate?